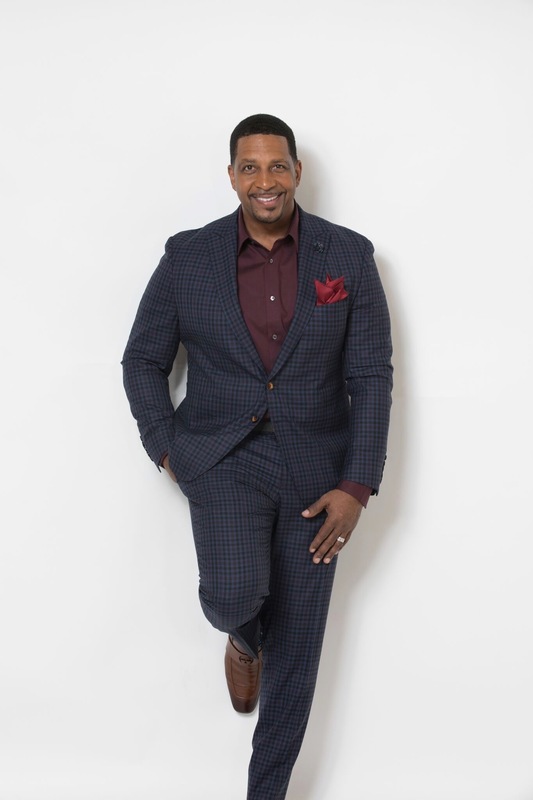 Darnell Self, now a fulfilled husband, father, and entrepreneur from Upper Marlboro, Maryland, openly shares his story with us, from his humble beginnings to the thriving lifestyle he and his family live today. Back in college, Darnell worked at a local mall to make extra money while in school. When he graduated from Bowie State University, he received a promotion to store manager, which came with 60 to 80 hour work weeks. As a result, Darnell missed out on everything that happened in his personal life, especially on the weekends. When Darnell turned 25 years old, he decided to take the plunge into his entrepreneurial journey. Darnell recalls the choice to leave his job to be a fearful one; however, he was more afraid to leave his dream behind. Despite his excitement to launch his new business, Darnell experienced hardships and obstacles for the first 3 years of working for himself. He often calls this season in his life, “the season of preparation.” He went from owning 2 vehicles to borrowing his Dad’s old truck to get from point A to point B. His wife, Traci, worked several jobs to support the household while Darnell worked tirelessly to get his business profitable. Darnell used the same work ethic he gained by working 12 hour days at the mall, but this time he was putting that effort into his own dream. He stuck with it, and when his 29th birthday rolled around, everything changed. Darnell finally struck the success he was working so diligently for. His wife, Traci, was able to go on Maternity leave at the age of 29 from the cable station where she worked and turn it into “eternity leave” because she never went back to work. Their family has grown since, and both Darnell and Traci have been stay-at-home parents to their 4 amazing children for 18 years! Darnell has been named “Entrepreneur of the Year” by the National Black Chamber of Commerce for 2 years. This honor was bestowed upon Darnell not because of the millions his business was able to generate, but because of the numbers of people Darnell has been able to empower on his way to success. Darnell has built a direct sales business that has helped over 40 people earn six-figure incomes, before he turned 40 years old. Even though Darnell has earned over 15 million dollars personally, he’s most proud of the 23 other entrepreneurs he’s coached to over a million dollars in income. While most justify success as the amount of money you make, Darnell believes success is measured by nothing other than how happy you are. He finds that he is the happiest when he’s guiding and supporting other people to become the best versions of themselves and achieve the success they are want. Although he has obtained the money, the house, the cars, and exotic travel, nothing excites him more than the time flexibility to spend time with his family. Darnell and his family have traveled the world, some for pleasure, but also for charity. His actions on a daily basis are driven by the desire to give back. In fact, Darnell’s ultimate “why” is to be able to donate 7-figures every year to undeserved communities around the globe. He believes that giving is more fulfilling than getting; however, he’s keenly aware that in order to give more you need to have more. His monthly family meetings include instilling this same philosophy and mindset into his kids. 1. Keep your job or another source of income, for as long as you possibly can, to fund your dreams. 3. Identify a strong support system (preferably those you spend the most time with). 4. Invest in yourself. Take the classes. Buy the online courses. Go to networking events where you can partner with those who will be an asset to your business. Ryan is a 7-figure digital entrepreneur, influencer, investor, press contributor, and speaker. Ryan founded the globally recognized social media marketing company Social Revelation which helps business and personal brands increase their digital footprint and brand awareness online. Ryan's company manages the social media strategy for several seven to eight figure earners who are top performers within their industry. He has curated a personal online network around 500,000 people from all around the world. Ryan has also been featured on various entrepreneurial and business podcasts such as Entrepreneurs on Fire, Underdog Empowerment, The Daily Grind, The No Excuse Show, The Millionaires’ Hot Seat, and on the live television shows "Good Morning LALA Land" in West Hollywood and the "Mountain Morning Show" in Park City, Utah.